A full service boutique literary agency that represents a variety of writers across a literary spectrum with an emphasis on fiction. Food and health writer, gluten-free chef, wellness personality, culinary instructor, speaker, and author of The Wellness Project. CEO and Co-Founder of Levo League, a thriving community of young professionals, mentors, and innovative companies taking #GenY by storm. 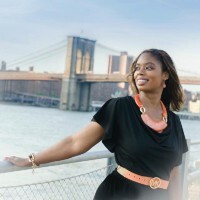 3WCircle COO, Entrepreneur, Cornell Grad, Women's Advocate. Sports & Fitness are the World's Religion.